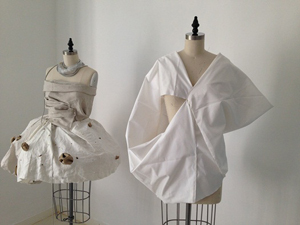 The Amsterdam Fashion Academy is an international private boutique academy offering Fashion with Textiles Design and Fashion Business University awarded Bachelor Honours degree courses and a one-year Fashion Foundation course. The validated degrees are aligned with UK Quality Assurance Agency (QAA) standards. With a highly qualified and experienced team, we offer a unique studying experience in an international environment. The Amsterdam Fashion Academy, a high-end, sophisticated and charming boutique academy. Small-scale, personal, student-centred learning in a supportive environment which ensures that every individual student is seen as just that: an individual, with their own individual needs and talents which we can foster and ensure that they each get the support and assistance they require to develop their talents to the full. When you think of personal, student-centred, small-scale supportive education where everyone knows and helps each other, then think of the Amsterdam Fashion Academy. An international private fashion academy offering several Bachelor degree courses where personal attention and focus on individual talent are key. 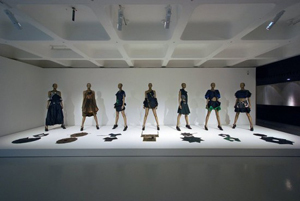 The Amsterdam Fashion Academy is located in the Museum district Amsterdam, one of the world’s most creative cities. Amsterdam has a multicultural society and freedom in choice of lifestyle. It is a safe and welcoming city with a large student community representing many nationalities. Come and pay us a visit. Or just read this material. Whatever it takes to get you started. We’re here to answer any questions you might have, so don’t hesitate to call or write. We challenge our students to the full. This means we work exclusively with the best lecturers. Professionals who work in the fashion business: designers, marketers, entrepreneurs, cutters, tailors, you name it. Experts with years of valuable and proven fashion experience and with a great desire to share their knowledge with motivated young people. If you value small classes and personal attention, then the Amsterdam Fashion Academy is the ideal place to study for your Fashion BA. We are strongly committed to achieving excellence in learning, teaching and the wider student experience, to give our students the best possible preparation for their future lives and careers. Our approach to creative learning is unique, highly personalised and guaranteed to ensure you meet your potential. Our classes are small, with teaching and personal contact with your tutor every day, 5 days a week. We also encourage our students to come in whenever they want to work, talk or simply enjoy the Academy’s relaxed, creative and multi-cultural environment. Teaching is delivered by our enthusiastic and dedicated team of highly experienced international lecturers and includes a comprehensive range of subjects such as idea generation, design development, illustration, fashion forecasting, pattern cutting and construction, knitwear, millinery, written and verbal communication and critical analysis. To ensure that students are fully prepared for a career in fashion, we integrate professional skills across all areas of these degrees. Our links with the international industry, both universities and companies, give students the opportunity to gain valuable experience in completing 'live' projects, competitions and work placements. The Amsterdam Metropolitan Area is a vibrant fashion hub that is presently home to more than a hundred fashion houses and designers. Thanks to its strategic location, the area is also an important logistics centre for the distribution of fashion items. This combination of creative excellence and logistic superiority acts as a magnet to many international companies in the fashion industry. Amsterdam is regarded as a global village due to the uniquely intimate nature of this modern metropolis. With an environment where everything is accessible by foot or by bike, people enjoy living and working in the city. The costs of living here are lower than in cities such as London, Paris or Stockholm and, apart from London, Amsterdam is considered the only European city in which you can work fully in English. Hello and thanks for your interest in the Amsterdam Fashion Academy. 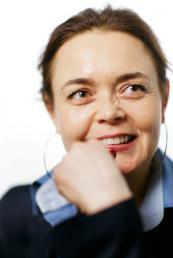 I’m Ingrid Mijnheer, director of the Academy, and it’s my pleasure to introduce you to a place that is like no other. The Amsterdam Fashion Academy has a lot to offer! Would you like to study in an international environment? Are you searching for inspiration, creativity and high-quality fashion knowledge and skills? Useful contacts that connect you directly to the fashion business? A future in fashion? They are all here at your disposal! The Amsterdam Fashion Academy has a lot to offer. Would you like to study in an international environment? Are you searching for inspiration, creativity and high-quality fashion knowledge and skills? Useful contacts that connect you directly to the fashion business? A future in fashion? They are all here at your disposal!